On April 12, 2015, Freddie Carlos Gray Jr died from spinal injuries sustained in Baltimore Police custody. The 25-year-old’s autopsy revealed that he died from spinal injuries and a medical examiner’s office ruled it a homicide. A year and a half later, Baltimore’s citizens are still processing the immediate impact of Gray’s death: the “riots,” as they were called on national television, or the “uprising,” as many native Baltimoreans choose to describe it. After the death of Freddie Gray, there was a sense of collective trauma and anguish amongst Baltimoreans, white and black, and all sorts of peaceful (and a few not-so-peaceful) demonstrations occurred. Baltimore’s States Attorney Marilyn Mosby ended the protests by giving us hope that positive change might come from this tragedy when she charged the police officers who arrested Gray with murder. Now that those trials have ended and all officers were found to be not responsible for the death of Gray, much of that hope has eroded. Police representatives called the death of Freddie Gray a “tragic situation” but said that the officers who arrested him were not responsible for his death. A jury and Judge Barry G. Willliams agreed and acquitted them on all counts (although the city paid Gray’s family $6.4 million dollars). While I understand that judges and juries must abide by the rule of law, I cannot comprehend a system that condones the murder of innocent human beings by law enforcement. We now live in a world where thirty percent of America, presumably the same white people who propelled Donald Trump to victory, believe that #blacklivesmatter is a terrorist organization funded by President Obama. Look no further than Fox News, Steve Bannon’s Breitbart, or your Facebook feed for details. In the face of mind-numbing injustice, systemic predation on the poor, a legal system that protects the rights of some over others, #blacklivesmatter has become a rallying cry for those who want equal treatment under the law. What can an individual actually do to effect meaningful change? For artists concerned with equity, social justice, and the health of our city, one effective tool against oppression is to keep making their art. If that sounds like a lousy option, I would entreat you to consider the cultural artifacts housed in every major historical museum in the world which serve as essential markers of their time. I would also encourage you to consider the massive political impact of the arts in sparking revolutions, ending established systems of oppression, and creating a lasting narrative on historical events. Not bad for a subject at school considered “not essential” in many a curriculum. Although it can be long lasting and far-reaching, the impact of art tends to be amorphous. It’s certainly not immediate and the artist often has no idea how her newest creation will function in the world. This is the beauty and power of it; an object is born out of the desire to create and the need to express, to communicate the ideas that matter most. It’s a shockingly romantic, yet effective, process. Art can also function successfully as propaganda, but the most powerful art is not intended as such. It is actually that polar opposite of politics, where half-truths and untruths are perpetrated in order to effect change. In contrast, an artist never really knows who will connect with their work; every piece is an act of faith. It is this hope, this individual desire for meaningful change, that is collectively on display at MICA’s Lazarus Center in Baltimore Rising, a group exhibition of political works inspired by the Baltimore uprising in April, 2015. 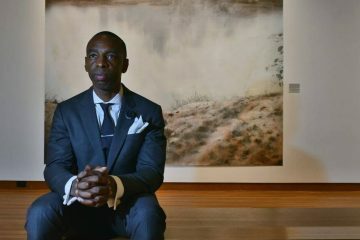 MICA Painting Department Chair Tony Shore first conceived the idea for the show after he was awarded a Ruby Grant, a project which started out in 2015 as “the creation of new paintings in response to the Baltimore Uprising.” Shore began collaborating with Baltimore photographer JM Giordano, using his photos of protests from April 2015 as source material for nighttime images on black velvet. 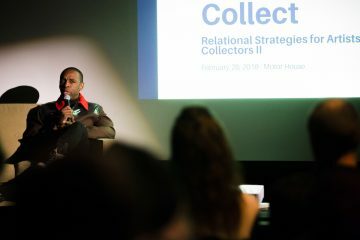 After the initial collaboration, Shore became more interested in the idea of a group exhibition with a number of different artists who address issues of protest against racial violence. After approval from MICA to host the exhibit, Shore reached out to fourteen artists, including Giordano, and they all agreed to participate. Despite different media, approaches, and generations, this wide-ranging exhibit is intellectually cohesive, where one work reinforces and enriches the others around it. In addition, hues of red, white, and blue fluctuate and flow throughout all the bodies of work, lending a patriotic emphasis to their protest as well. 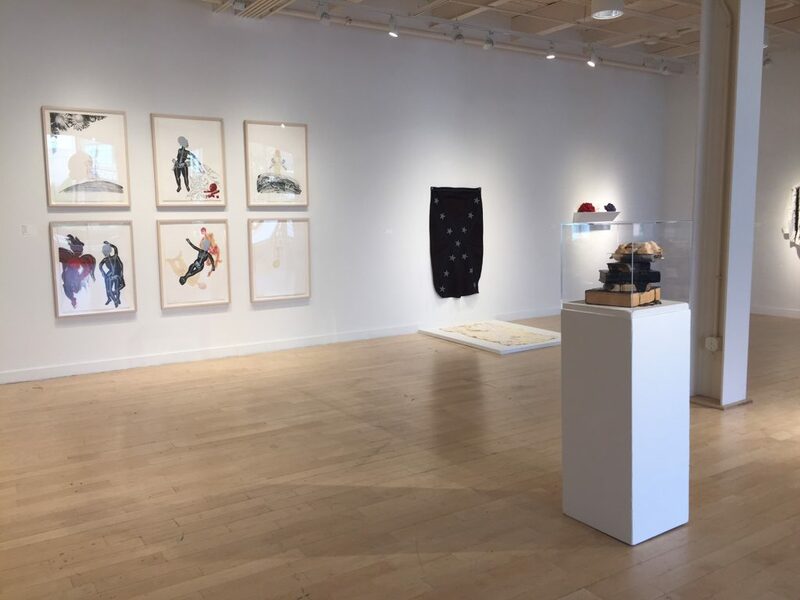 The most compelling pieces in the show are fiber works by Sonya Clark which challenge symbolic representations of historical manifestations of racism. 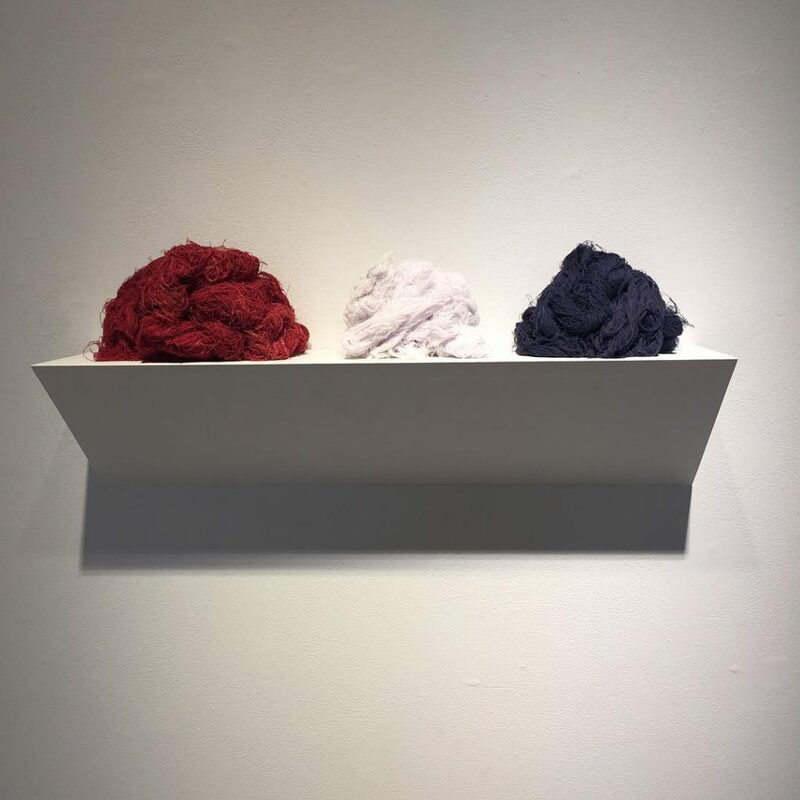 “Unravelled” features three balls of cotton yarn – red, white, and blue – on a shelf. It’s a curious and soft, yet minimal, sculpture that could represent all sorts of patriotic ideas. However, when you read the wall text, the piece slams you in the gut: the artist has taken a confederate battle flag and gently deconstructed it. Those balls of yarn hint at nice little old ladies, sitting on their porch drinking lemonade and knitting, while voting to maintain Jim Crow laws and secretly supporting the KKK. There’s an innocence in this piece that stings like a scorpion, when you realize what those soft pieces of string used to be. 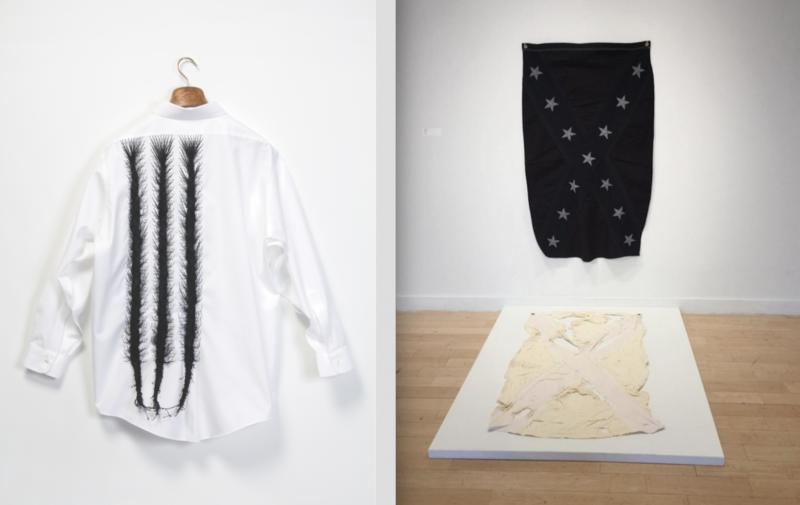 The piece hanging next to it, a man’s white dress shirt with three long black braids sewn onto it, is equally powerful. The piece, titled “3/5ths”, represents the clause in the US Constitution that recognized slaves as just 3/5ths of a person for tax purposes and provided foundation for the Electoral College system we still use today to give more weight to previously slave-owning states. Clark’s simple white shirt functions as an everyman, but the long black braids, placed off to the left side so that there could be room for two more, presents its wearer as definitely of African descent. Rather than making the braids smooth or wooly, the black cotton thread wriggles and writhes out of its braid, resembling organic roots or branches, connoting a life force and struggle. Her other piece, which features two confederate flags where one has been blackened with ink and the other bleached, is equally compelling. Although these works don’t address the Baltimore uprising directly, they declare that this country was built upon slavery, and this ubiquitous flag communicates your allegiance to the practice. 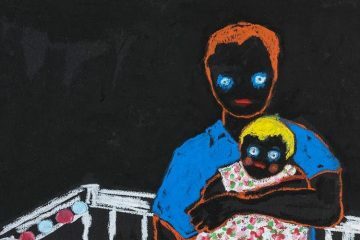 Jeffrey Kent contributes paintings and sculpture to this exhibit, with “The N-Word”, a giant navy blue surface glowing with a gun made of multicolored glitter. It shoots yellow flames into a cartoon-like black face with an exaggerated expression. His sculpture “Medical Apartheid” is subtler in appearance but no less direct in its message about the disparities in health care between white and black people in the US. The sculpture is made of a stack of vintage medical reference books covered in black tar, while a silver tray full of what appears to be bloody cotton balls sits atop. Gallery text reveals that the cotton is actually “enslaved picked cotton,” which the artist found by purchasing a 200-year-old couch and extracting the stuffing. 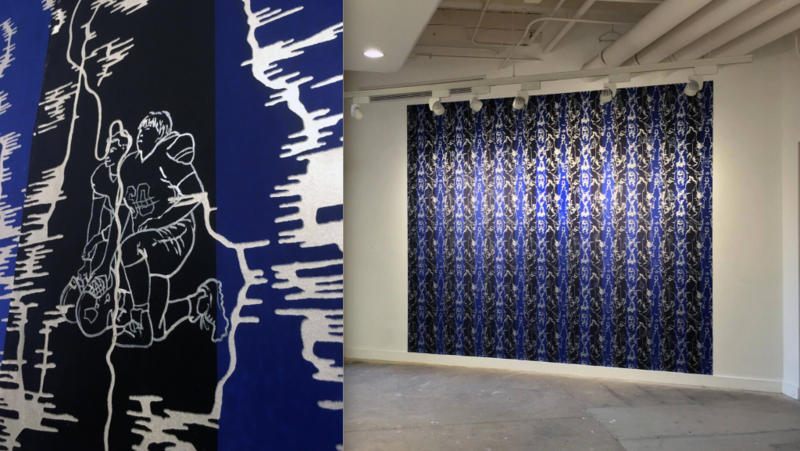 Lauren Frances Adam’s newest political wallpaper installation is on display downstairs where the exhibit continues. From a distance it looks like a blue and black striped fabric, embellished by intricate Ikat or Tabriz patterns. The piece vibrates with energy and a closer look reveals hand-drawn athletes embedded in the pattern. Athletes? Yes. You’ll remember a certain quarterback, Colin Kaepernick, drawing conservative ire in the news recently? He’s there, in Adams’ piece, along with dozens of other athletes, all kneeling down. 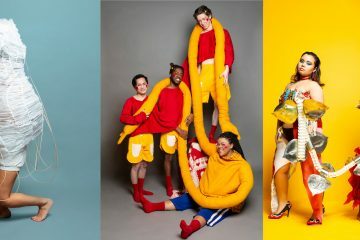 The piece is titled, appropriately, “Taking a Knee” and it’s unique for its blending of sports and visual art, a mash-up that rarely happens, and for combining formal pattern and sports figures in such a harmonious and non-kitschy way. Adams’ piece is the most hopeful of the group: there have been several recent examples of sports teams using their popularity in America to draw attention to issues of racial inequality, starting with the University of Missouri where the football team leveraged their political power by refusing to play. Envisioning activist alliances between artists and athletes is a brilliant idea and a rich ground for progress to be made. 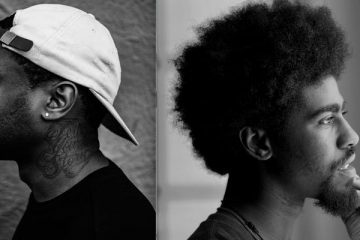 It’s a relationship that few (typically sports challenged like myself) artists even consider. 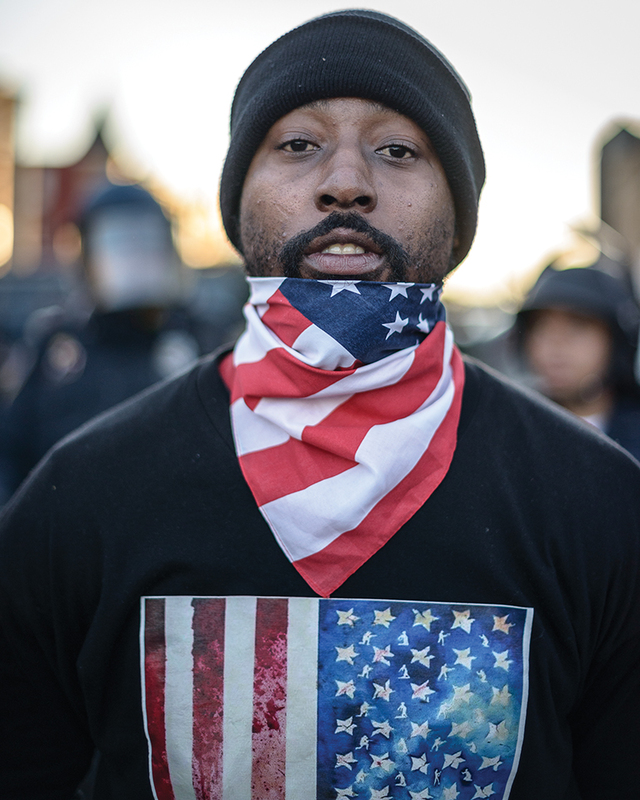 The exhibit includes photos from the Baltimore protests and riots by Devin Allen and JM Giordano, whose beating by Baltimore Police was famously captured on video and shared around the world. 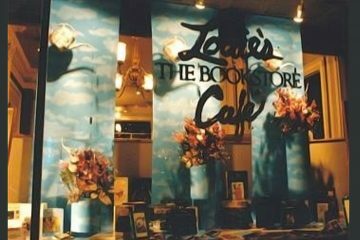 It also features a poignant glass sculpture filled with bullets by Joyce J. Scott, photos of police and protestors on Pennsylvania Avenue taken by Nate Larson immediately after the riots ended, Tony Shore’s black velvet paintings depicting the protest, video by Paul Rucker, and a number of other thought provoking works. When I first visited Baltimore Rising, about a week before the election of Donald Trump, I had more criticisms of this show to offer. 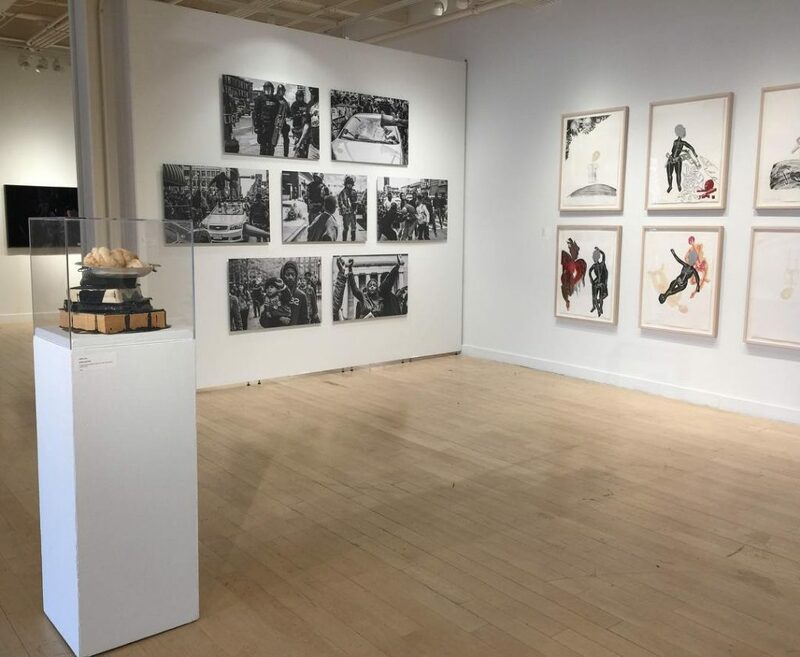 There was a sense of self-satisfaction that rubbed me the wrong way in places; there are gaps in curatorial vision where some works feel less relevant to the Baltimore uprising and more related to general issues of race, history, and the justice system. But today, now that I am living in Donald Trump’s America, I am filled with nothing but gratitude that this show exists and has been so widely praised, received, and covered by mainstream media in our Democratic stronghold of Maryland. I am thrilled to read essays by #blacklivesmatter activist DeRay McKesson and Dr. Leslie King Hammond in the exhibition catalogue. I am relieved to live in a place where this exhibit can validate the facts that are growing increasingly divided and partisan in our country. Higher institutions need to take a clear stand on issues of police brutality, systemic racism, and equality for all. In this case, MICA serves as champion for social justice, standing up for those who protested the death of Freddie Gray. Within my own liberal art bubble, this show didn’t seem as radical as I see it today. Its ability to bring artists and citizens together, to speak in a variety of visual languages, and to advocate for social justice is powerful and profound. 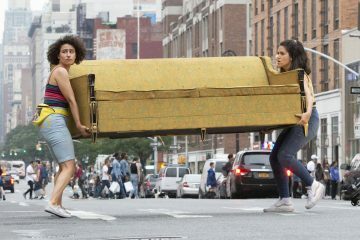 I can only imagine how our new president or Fox News or, god forbid, Rudy Guiliani, would react to this show and to the exhibits that it will inspire. Baltimore Rising sets a precedent, both aesthetically and politically. It is a declaration that race and police violence are serious problems in our country, that protestors have a right an obligation to assemble to decry unjust systems, and it says it with unapologetic intelligence and candor to anyone who would like to believe otherwise. Baltimore Rising will be on exhibit at MICA’s Lazarus Center through November 23.